UPDATED: Sun., Oct. 29, 2017, 12:03 a.m.
Maddie Lee racked up 12 kills with 18 digs Saturday and the Mead Panthers advanced to the District 8 4A volleyball championship game after sweeping visiting Walla Walla 25-19, 25-13, 25-16 on Saturday. Lindsey Russell dished out 31 assists for and McKenna Russell added four blocks for the Panthers, who have clinched a state berth and will host Richland at 3 p.m. Saturday for seeding. Saturday’s play at Mead will begin with Central Valley against Walla Walla at 11 a.m. and University against Gonzaga Prep at 1 p.m. in loser-out matches. Central Valley 3, Chiawana 1: Paige Wollan recorded 10 kills with five blocks and the Bears beat the host Riverhawks 25-17, 25-21, 17-25, 25-13 in a loser-out game in Pasco. Karen Weaver added 22 assists for the Bears. University 3, Hanford 0: Rachael Schlect had 17 kills with four service aces and the Titans beat the Falcons 25-23, 25-15, 25-20 in a loser-out match at Mead HS. Kamiakin 3, Shadle Park 2: Jilliam Groves had 12 kills, 38 assists and five service aces for the Highlanders, but Kamiakin edged Shadle Park (25-23, 18-25, 25-23, 23-25, 15-12) in a 3A district match. Shadle Park heads to the consolation bracket and they play November 2. Mt. Spokane 3, Southridge 0: Mihana Waters finished with 15 kills, 10 digs and the Wildcats beat the visiting Suns 25-21, 25-14, 25-14. Katie Maher added 17 assists for the Wildcats, who will host the four-team, state-qualifying round on Saturday. The Wildcats will play Kamiakin in a winner-to-state game. Southridge 3, Rogers 1: Shaeli Morrison had seven kills and five blocks, but the Suns defeated the Pirates 19-25, 25-16, 25-11, 25-16 at Mt. Spokane. Rogers will travel to Kennewick at 6 p.m. Thursday in a loser-out match. Shadle Park will host Southridge in a loser-out match, also at 6 p.m. Thursday. Cheney 3, Clarkston 1: Shelby Draper had 14 kills and the Blackhawks beat the Bantams 30-28, 25-23, 24-26, 25-23 at Pullman HS. Cheney later lost to East Valley and is headed to regionals on Saturday. Lakeside (WA) 3, Freeman 0: Lexi Mikkelsen notched 14 kills with 17 digs and the host Eagles defeated the Scotties 25-20, 25-15, 25-17 in the championship match in Nine Mile Falls. Olivia Mikkelsen added 27 assists and 17 digs for Lakeside. Ailsa Hansen dished out 17 assists for Freeman. Newport 3, Deer Park 2: Faith Hood had 12 kills with 13 digs and the Grizzlies beat the Stags 20-25, 25-17, 25-16, 23-25, 15-10 in a third-place game at Lakeside. Taylor Tarble led Deer Park with 16 kills and three blocks. Newport advances to the regional crossover match on Saturday. 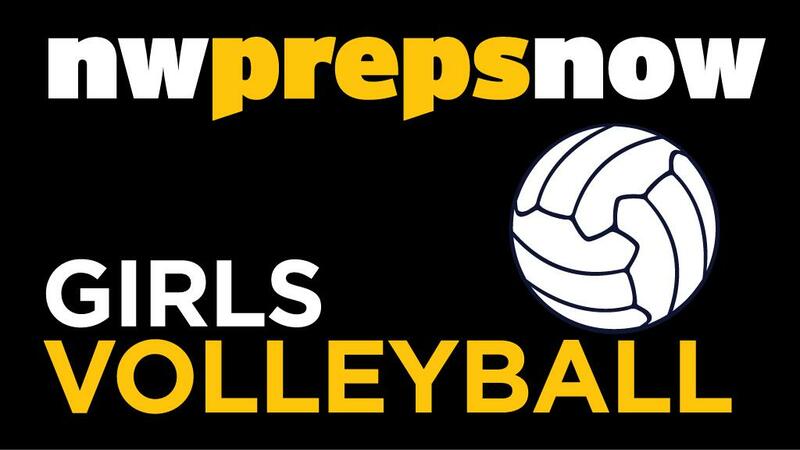 Almira/Coulee-Hartline 3, Wellpinit 0: Gabi Isaak racked up six kills with eight aces and lead Almira/Coulee-Hartline (14-0) swept Wellpinit (3-11) in straight sets (25-6, 25-5, 25-4) in a Northeast 1B South league match. Tiffany Boutain dished out 16 assists for the Warriors. Odessa 3, Columbia 0: Amber Smith notched seven aces with nine digs and Odessa swept Columbia in straight sets (25-14, 25-12, 25-15) in a nonleague match. Brenna Carstensen dished out 20 assists for the Tigers. Published: Oct. 28, 2017, 10:23 p.m. Updated: Oct. 29, 2017, 12:03 a.m.